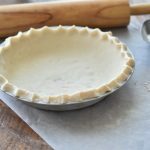 You need the perfect flaky pie crust to go with that German Chocolate Pie or that Caramel Apple Slab Pie. This recipe is so simple and so good. You can make a few and freeze them flat, then just use them up when you need them. We made a quick video for our favorite German Chocolate Pie. If you love german chocolate, you’ll love this pie! A perfectly flaky pie crust. Cut the cold butter into small pieces before combining. Work the fat into the flour with a pastry blender. Be sure to leave chunks of butter about the size of a pea. Don’t overwork the dough. Add the ice water a small amount at a time, stirring after each addition. 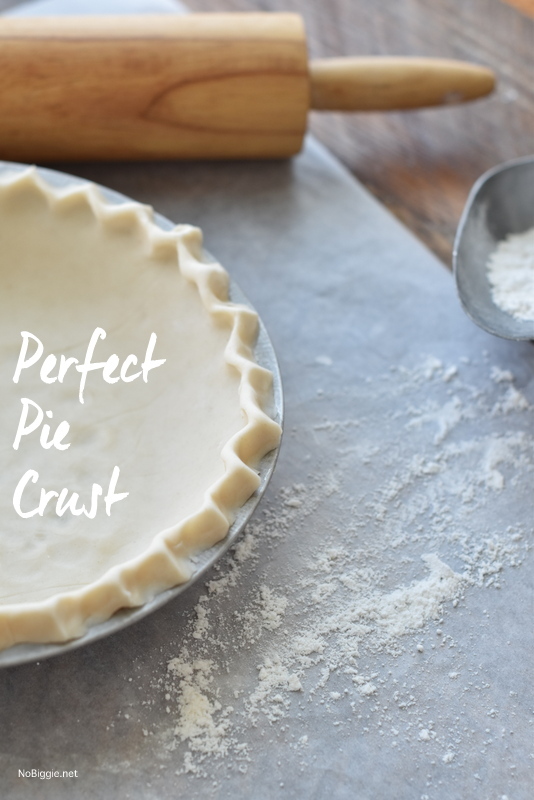 The pie crust should just start to come together and should stick together when you press some in your hand. You don’t want it to be sticky, but don’t fear adding too much water either. When the dough comes together, dump it out onto a piece of plastic wrap. Use your hand to form the dough into a uniform mound. Separate the dough into two each pieces. Place the other half on a different piece of plastic wrap. Press each half into a round disc and wrap well in plastic wrap. Chill for a minimum of 15-30 minutes or overnight. 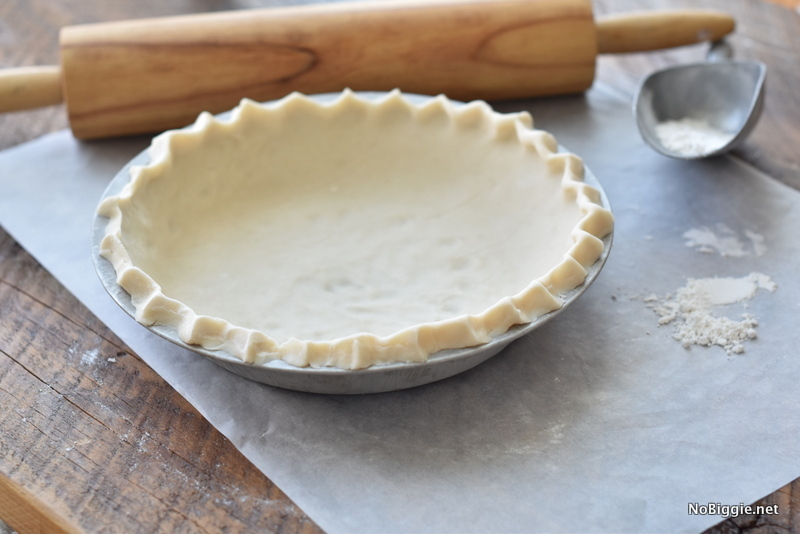 When ready to use roll out the pie crust dough and use as directed in your pie recipe. Now the real question is what will you fill it with? What’s your most favorite pie to make? Where does the Crisco come in to play? The butter is for flavor and the crisco is for texture.